1998 《Dangerfield（英语：Dangerfield (TV series)）》 單集："Paths"
1999 《中央公園（英语：City Central (TV series)）》 Jake Clanton 單集："Life Liberty and Pursuit"
^ Official Action on Film 2010 Award Winners (PDF). Action on Film International Film Festival. （原始内容 (PDF)存档于2013-05-10）. 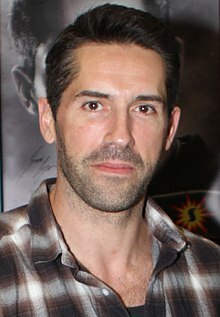 ^ Scott Adkins won the Best Actor Award. 3rd Chinese International Film Festival London 2015.